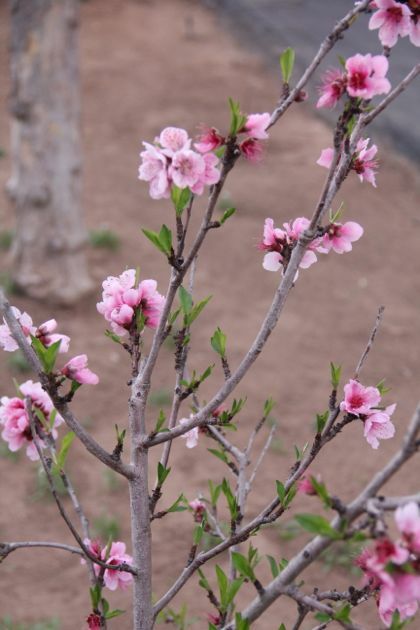 This is the bare root tree we planted three years ago, and this is the first year I see the little tree full of blossoms. It's hard not to imagine summer peaches, now. We will be watching, and hoping. We will be guarding our little peach, and tending her with care. Beetles took all but one of our blueberry bushes. A tragedy, to be sure. Even the hens won't have anything to do with those spoilers, the Harlequin beetle, or Bagrada bug. Those little suckers are the arch nemesis of any garden. Peaches I am happy to anticipate. Those garden pests... well, I will be on the lookout for them, too, but they will not be welcome or well received. 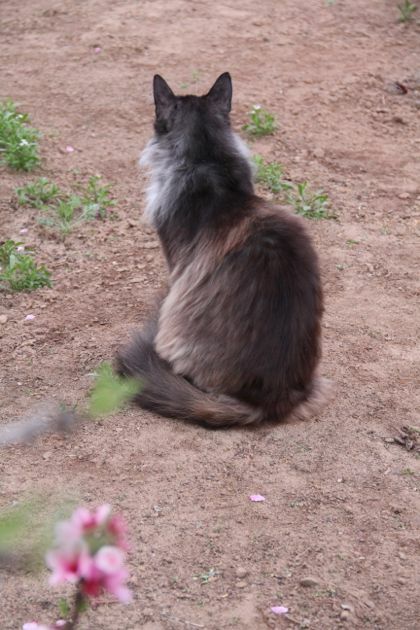 Benjamin, will you be my garden companion, watching the garden, guarding our crops? 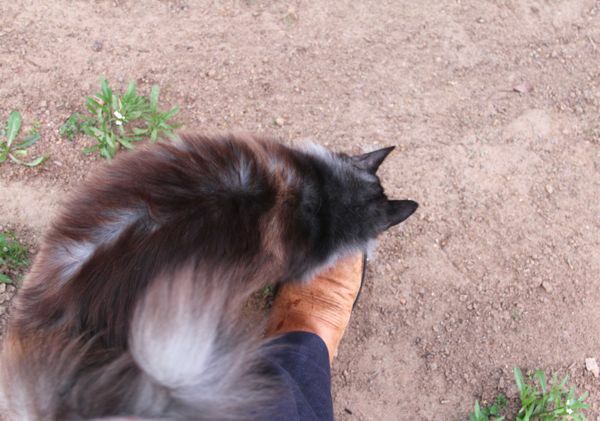 I do appreciate your furry, warm company. Oh, what luscious blossoms! I hope you get some fruit this year! Handsome, handsome Benjamin. 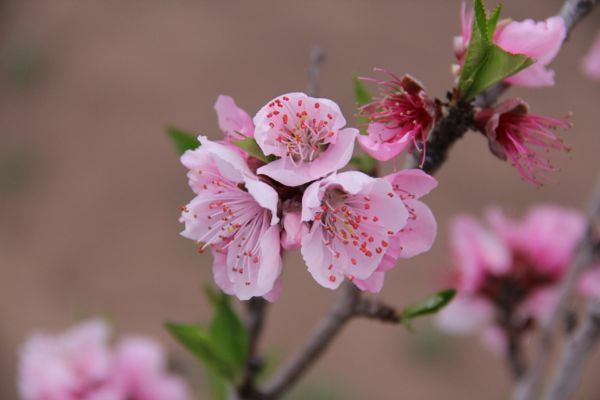 And beautiful peach blossoms, just perfect! 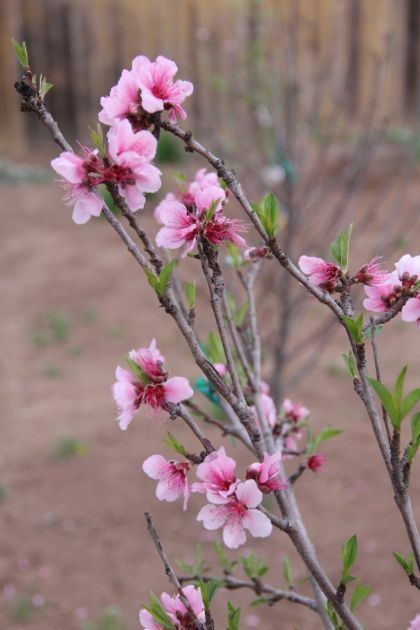 Can't wait to see what delectable peach treat you will make with your first fruits! 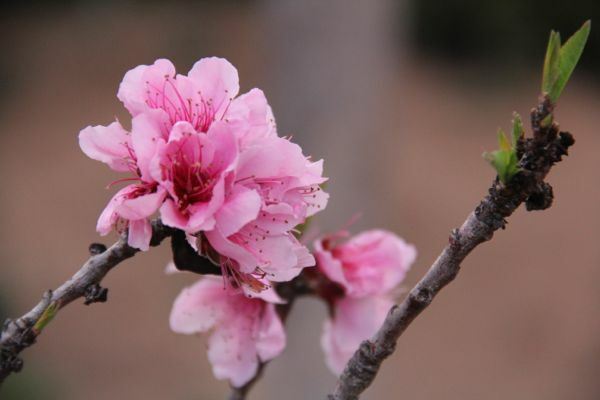 Those peach blossoms are beautiful! My mouth is already watering. Peaches are something I really miss about the southeast. Yummmmmm. Speaking of sweet things...I am loving Maria's Valentines on the sidebar there!